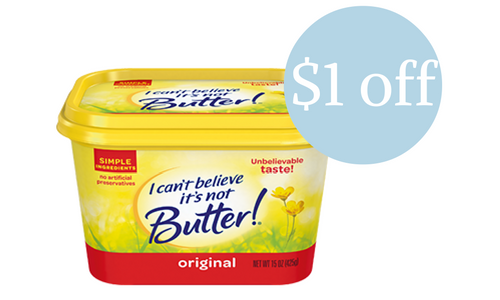 There is a new $1 off I Can’t Believe It’s Not Butter coupon out today! Head to Publix today to get spread for $1.19. If you can’t make it to Publix, you can get spread for $1.49 at Kroger.